Our consultant psychiatrist Dr Wendy Woodhouse (pictured) has been awarded an OBE for services to children and young people’s mental health. Wendy has over 32 years’ NHS service, with 22 years in Swindon and Wiltshire, where she continues to practice. 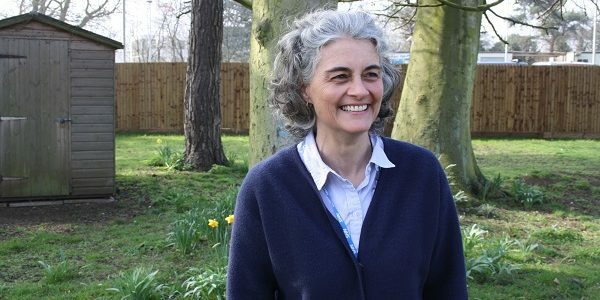 For eight years she led Oxford Health’s child and adolescent mental health (CAMHS) and children’s services across five counties, Oxfordshire, Buckinghamshire, Wiltshire and Bath & North East Somerset. Dr Woodhouse said: “I’m stunned and delighted to be recognised as one part of a hard-working and dedicated NHS child and adolescent mental health service. “I don’t feel I deserve this honour, as I couldn’t have managed my role without the support of the many expert clinical and management colleagues whom I have worked with over many years. However, I’m proud to be able to fly the flag on behalf of CAMHS services and to highlight the needs of young people with mental health problems. Stuart Bell CBE, Oxford Health Chief Executive said: “We congratulate Wendy on this well-deserved award. Dr Woodhouse has made a tremendous contribution to child and adolescent mental health.